This is the latest in a series of guest posts on teaching creative writing. Jimin Han emailed me about an exercise she gave her students, and I asked her to write more. She co-teaches a novel-writing workshop, and does some really interesting things in her classroom. As always, if you’re interested in contributing to this series, email me at m [dot] salesses [at gmail etc.]. Jimin Han was born in Seoul, Korea and grew up in New York, Rhode Island, and Ohio. She attended Cornell University as an undergraduate and earned an MFA from Sarah Lawrence College. 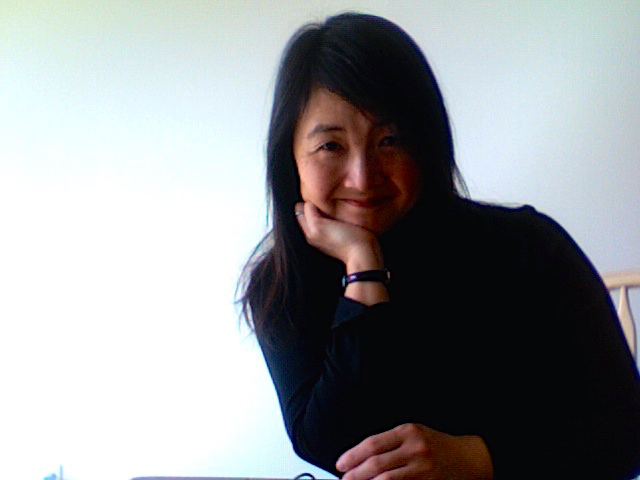 Her writing can be found online at NPR’s “Weekend America,” Entropy, The Rumpus, HTMLGiant, The Good Men Project, Hyphen Magazine, Kartika Review, KoreanAmericanStory.com, Queen Mob’s Tea House, EssentialMom.com, Global City Review, Asian American Pacific Review, and The eChook Memoir app. Her work appears in The Nuyorasian Anthology (Asian American Writers Workshop.) Recipient of a grant from the Squaw Valley Community of Writers, she was also a finalist for the Charles Johnson Student Fiction Award. Her novel, A Small Revolution, is forthcoming from Little A, spring 2017. She teaches at The Writing Institute at Sarah Lawrence College and lives outside New York City with her husband and children. THE FOLLOWING is a long-winded response I didn’t get a chance to give to a student at the Los Angeles AWP conference. He wanted to know what to do when no one in his workshop would give him feedback. He was a person of color while the rest of his workshop and the workshop leader were white. As he spoke, there were nods of recognition from people in the audience. Those of us on the panel gave him support around what we’d do if we were leading his workshop. But the truth was there wasn’t time to fully address his question in that forum and it highlighted the very real need for dialogue like this. As a Korean American woman writer, I related to his frustration. I’ve been in workshops where my classmates and the teacher either prescribed a path for me to write a story or novel with which they were comfortable, not knowing what I was trying to accomplish, or saying nothing because they felt they didn’t understand my life experience enough to comment. Entitlement is complicated territory. In my case, I found other writers who were willing to meet me where I was. That didn’t mean they were Korean or women or of the same economic class, etc. It meant that they were willing to have a conversation with me and willing to read stories and books that were similar to what I was hoping to accomplish in my work. And most of the time, I didn’t find them in my writing workshops. So when I had a chance to teach, I wondered if I could create what I didn’t have. The writer Pat Dunn and I teach a novel writing workshop at a liberal arts college. To begin, we needed to understand where students located themselves. And to give them anything useful, we needed to have ongoing conversations in the workshop to help us understand our students. We wanted this understanding to be reached by everyone in the class. By the time a manuscript was being discussed, everyone would be familiar with what that writer was trying to accomplish. No one would be an expert on suggesting what the writer should to do revise their work but we’d all be able to make specific suggestions on what they could consider. Everyone would reach an understanding of where they were in relation to each other and be able to comment from that place. It’s not always possible but we hoped there were things we could build into the workshop to help it along. Students who come to our program arrive with a range of experiences with completed manuscripts at different stages of revision. They come with all kinds of assumptions about how a writing workshop is conducted with all sorts of defenses. Over the years Pat and I have a few strategies we’ve employed to create an active dialogue in the workshop. We know writers feel best when they’re writing. I feel better when I’m writing. Forster and Didion have talked about the relationship between thought and writing. Joan Didion: “I don’t know what I think until I write it down.” So in our class we have students engage in two types of writing in the workshop itself. Outside of it, of course, they’re working on their manuscripts. One type of writing we do in class is analytical. We ask students to write down what they’re trying to say in their books—as close to it as they can get. And this may change over the course of the semester. We repeat it several times during the term. We ask them to summarize in a page, ten minutes of writing, sometimes one sentence (the elevator pitch). Not for the purpose of selling their book to an agent, but to distill the essence of what they’ve written so we can focus on what matters to them about this novel in their hands. Some students resist these exercises and don’t see their relevance. I tell them they’ll only get to say what they’ve written. There’s a tendency for novelists to be long-winded. Who am I kidding— every writer tends to be long winded. We can talk endlessly about what we think so we tell them to write down what they think. It keeps us focused. And this brings people’s guards down. Writers reveal themselves in their writing they might not say aloud. And they write better than they can say aloud. It’s a pleasure to hear their written word. Summary also makes the massive manuscript manageable. It’s hard— it’s why we write novels. If we could say what we wanted to say in a paragraph, we wouldn’t be novelists. Even those writers who hate freewrites and protest writing on demand eventually come around, especially when they hear what their fellow writers have written while they used up their freewrite time looking at the ceiling or excusing themselves to use the restroom. We ask them to do this kind of exercise so we know what they intended to write in their novels. Then when we read their manuscripts we can see how close they are to achieving it. For example, if they intended to write a literary novel about a modern day Romeo and Juliet story set in North Korea, but they spent the majority of the manuscript on the backstory of Romeo’s parents’ struggle to accept the death of Romeo’s brother from childhood measles, we can talk about how to make the intention align more closely with the reality of the manuscript. We talk about choices and refer to the books the student says are most like their own. Always, we try to talk about deliberately making an informed choice. The other kind of writing is where they add to their manuscripts. We have them write scenes that are missing, for example. It’s amazing how students don’t hesitate with this one. They all know there are scenes that they didn’t write. It could be the origination of an important relationship between their main character and another character. It could be a secret the main character is ashamed to admit. We fill out in order to shape the manuscript later. All along we ask them to name books that are similar to theirs and because the majority of our students intend to send their manuscripts out for publication we ask them to name the books that are similar to their books in language and content or is in direct contrast to a book. We changed the words we use to ask this question from books they like or admire to books most like their own. In this way, all the members of the workshop become familiar with what is meaningful to each classmate. We ask them to describe their ideal reader. This is the basis for every discussion and how Pat and I modify that semester’s curriculum to what we are prepared to cover. When we discuss craft, we refer specifically to how another writer that that student feels inspired by or close to has made the impact they have. This is where close reading and specificity come into play. We take apart a scene in terms of how it is constructed. We try out writing exercises to learn how it’s done. But again we use a combination of texts that the students in class offer and those we think their work speaks to. I think that’s the best way to meet students where they are. This allows everyone to have real ownership about being able to comment and make solid suggestions about how a fellow classmate can improve their story or novel. Years ago in grad school I had a professor read one of my stories and refer me to a story when we met during office hours. I remember how excited I was and how I ran to the library, found the volume and devoured those words only to be confused. I found out later she’d referred the exact same story to everyone in my class. We don’t expect that we, Pat and I, are the only experts in the class. We assign everyone the goal of looking for books similar to the book we’re workshopping that week. We assign them to write book reviews where they have to mention two other books akin to the book they’re reviewing and say why. When it comes to how we give feedback, I’ve found that the language we use to talk to one another can have a lasting impact on the writer. We used to ask students to say why they thought something worked well and why they thought something in the story or novel didn’t. I used to ask people in workshop to say, “This worked for me because…” or “This part was confusing…” But I’ve come to learn that that even this kind of language is too authoritative and misleading. Writers who hear this can feel as if an objective audience is giving them a roadmap to some sort of success. Instead, we ask students to talk about the impact the book made on them, which parts and why. We have them say, “I was shocked when I read____” and “I paid attention at this part…” along with “I didn’t know who was talking in this scene…” etc. Over the years we’ve seen students email each other or give each other written notes, especially when they missed the workshop. But I’ve found that this leads to more harm than good. Students have told us that their fellow classmates with the best intentions have crossed out sections or written ‘cliche’ in the margins. Another kind of revision we offer is where everyone participates in actually editing each other’s work. One of the exercises we’ve done that has made students more enthusiastic about the direction they want to their books is to ask students to write down a recent dream they had. Then they pass their freewrite to whoever is sitting to their right. They’re each tasked with editing their fellow student’s dream to make it more suspenseful. ‘Suspenseful’ seems to give students a directive they easily run with. What’s suspenseful to one writer might be different to another and we explore that in the discussion afterward. They’re given other specific rules: They’re allowed to cut and paste, add words, delete words. But they must keep the voice of the writer the same. As an example: one student wrote about a dream where she was running into a house that was familiar to her but she didn’t know where she was exactly. She ran up some stairs and opened the door at the top flight and found a man on the other side who she knew she didn’t like. He held out his hand and she took it. That was approximately the original dream. The student editing this dream slowed down the run up the stairs, moving details from an earlier part of the piece to this portion. She had the man hold out his hand, she took it, and it fit perfectly. This last fitting of the hand ‘perfectly’ pushed the emotion of the dream further. The exercise is meant to be illustrative and we’ve seen writers take the short exercise and expand it to their manuscripts.